First, fill up your sink or a clean basin with enough water so that when your greens go in, they don’t touch the bottom. Add a little white vinegar (this does wonders for any greens have already been sitting a couple days). Remove the root from your greens (I just hack it off with a sharp knife) and submerge in the water. Swish them around gently, then just leave them for a few minutes. The dirt will sink to the bottom while the lettuce stays in top. If you have a salad spinner, use it to remove as much water as you can, then roll the greens up gently, in a single layer, in paper towels or a very clean tea towel. Put that roll into a ziploc bag, but don’t zip it. Stash that in your fridge, and enjoy as you like. 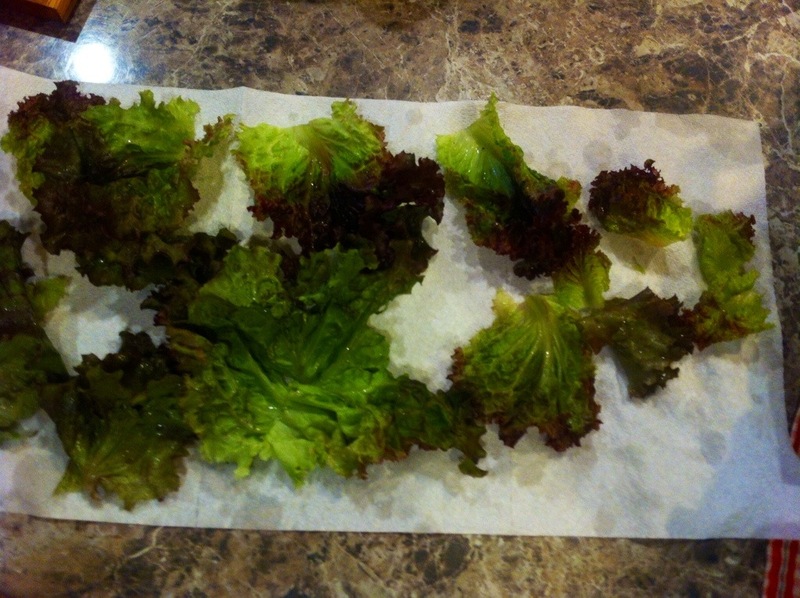 We just ate tender salad greens we had stashed that way a week and a half ago and they still crunched! This works very well with any greens- kale, chard, romaine, mesclun, spinach, etc. 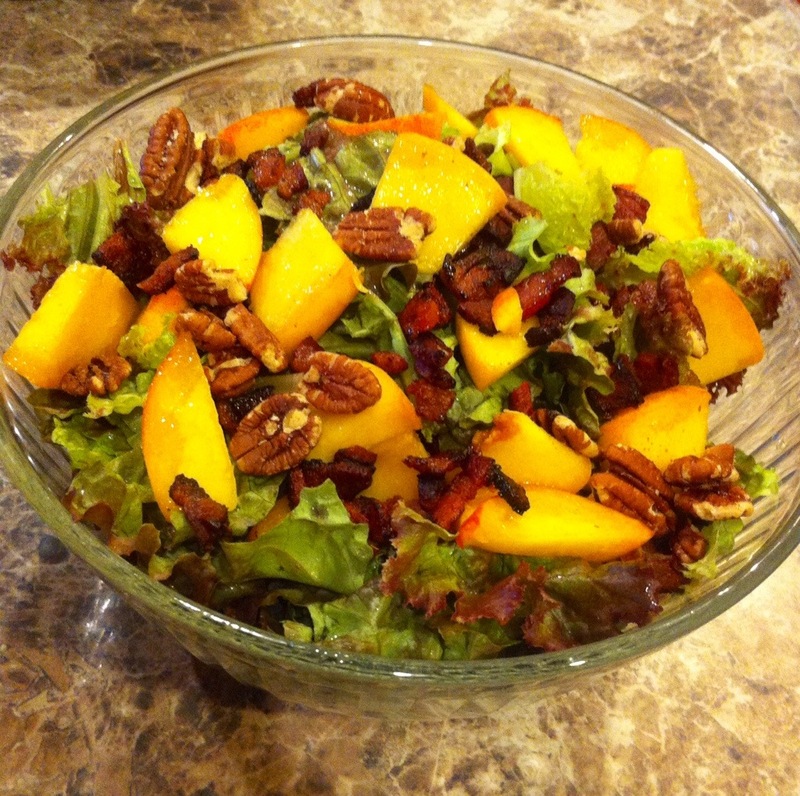 Posted in recipe and tagged bacon, greens, peaches, salad, storage on August 7, 2014 by bfcat.